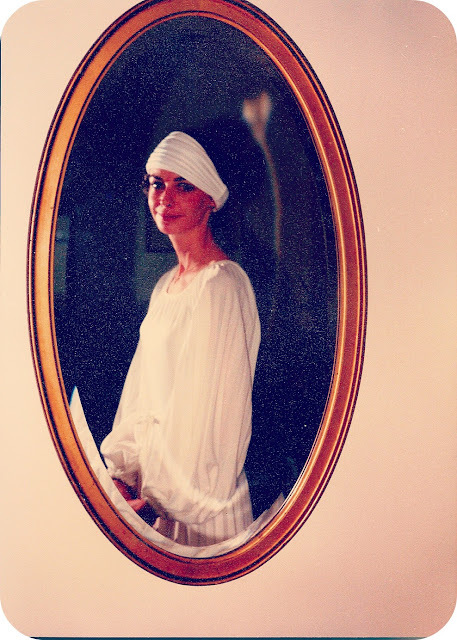 My beautiful mother on her wedding day. For lullabies and stories read, for cleaning up my constant piles of scattered books before I could even read, for staying with me all night whenever I was sick, for hugs, for the smell of freshly baked bread and a tiny loaf just for me, for kisses on the cheek, for drives to dance class, for quotations of poetry, for advice whether I wanted it or didn't, but probably needed it, for encouragement, for prayers, for building a lifelong love of music, for walks on the beach, for smiles, for listening, for not being afraid to give a push when I need it, for caring, for rejoicing with me, for crying with me, for "being pleased", for a hand to hold, for laughter, for instilling a love of words and books, for baking advice, for relationship advice, for faith, for love, for being there, for making me who I am. These are the things I'm thankful for on Mother's Day. @Raez - yes it is! And I think so too!